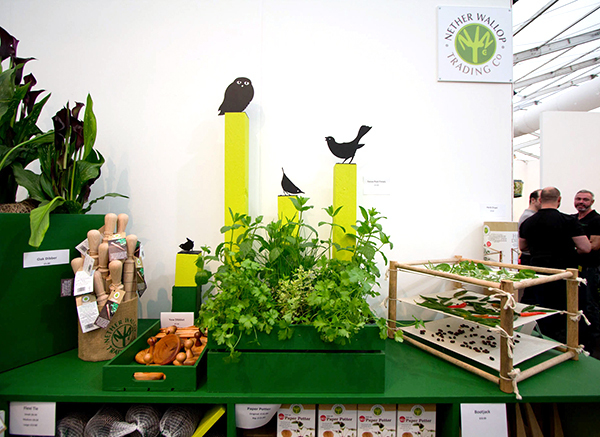 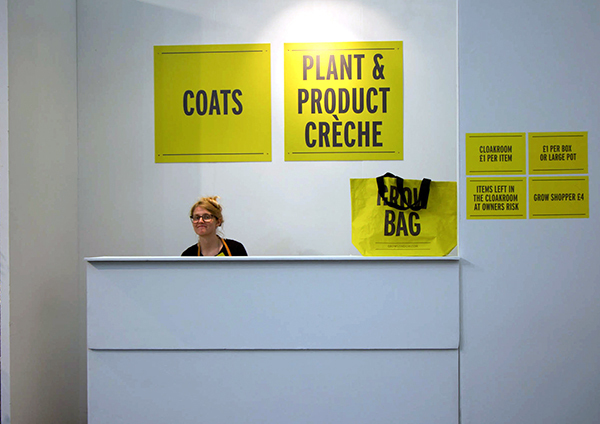 Fun branding througout the show and love the plant and product creche! 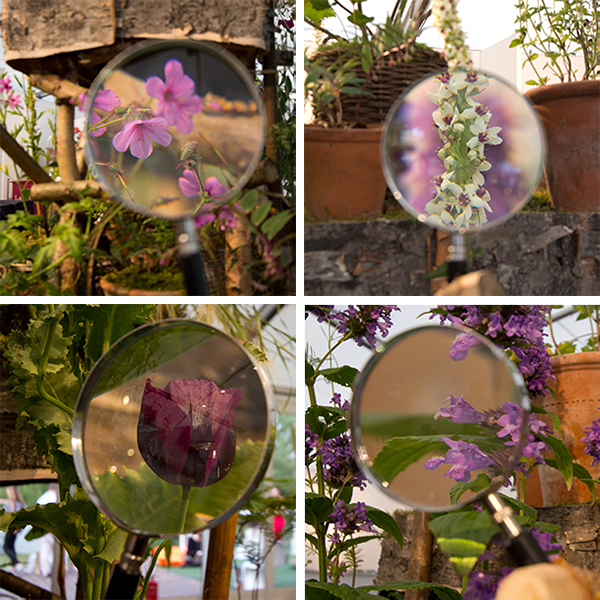 Taking a closer look with “The Plant Hunter’s Paradise” lets us take a closer look at these now common graden plants. 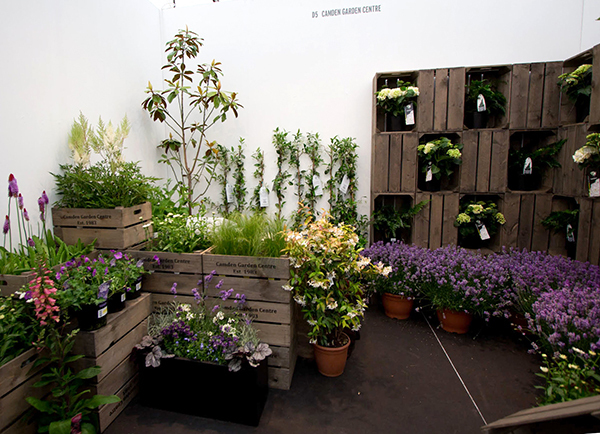 Designed by Shane Connolly with real life plant hunters from Crug Farm Plants and Special Plants. 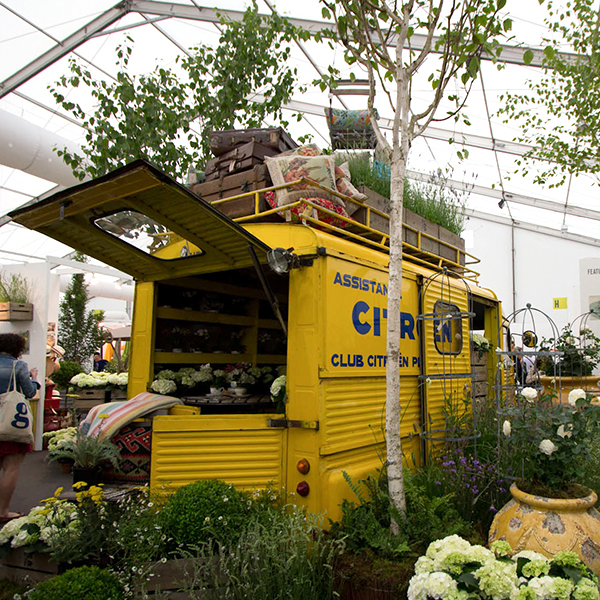 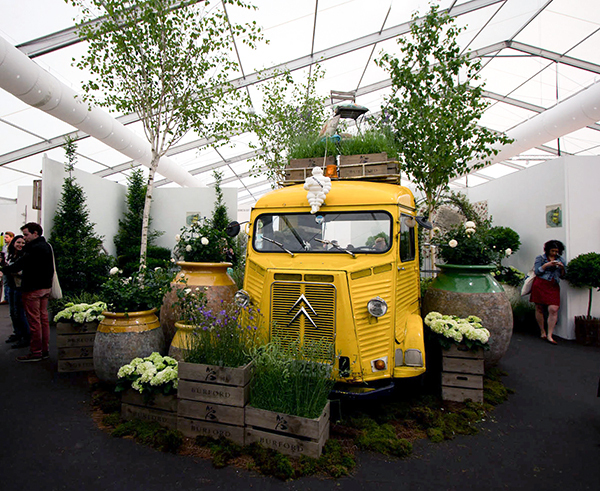 A playful installation from the Burford, including it’s beloved Citroen van. 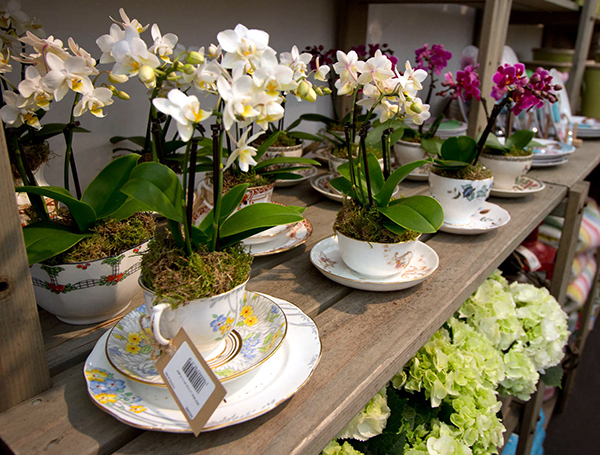 Orchids in Teacups from the Burford Garden Company. 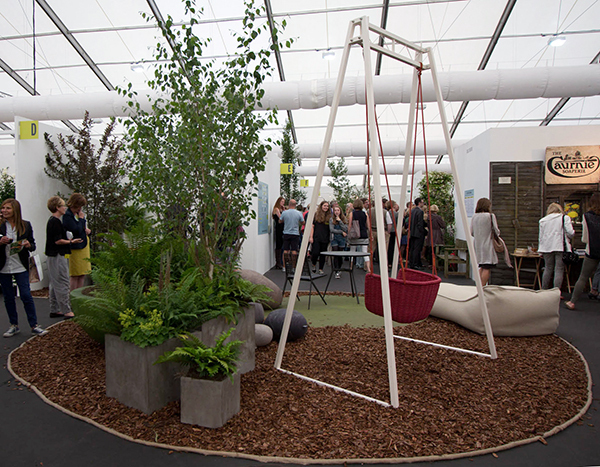 Swings at the ready at this installation from The Modern Garden Company. 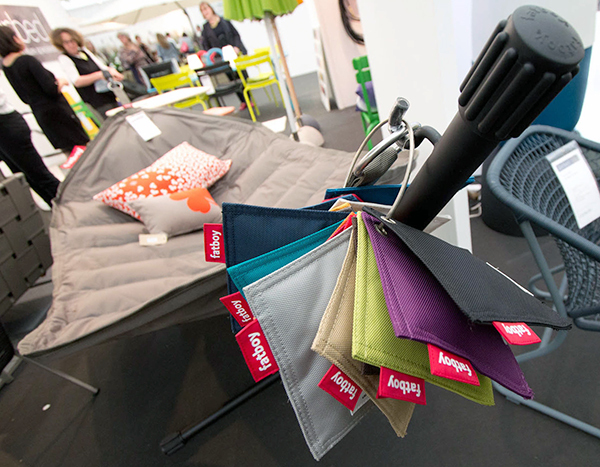 You can customise your swing by picking your own seat and bungee colors. 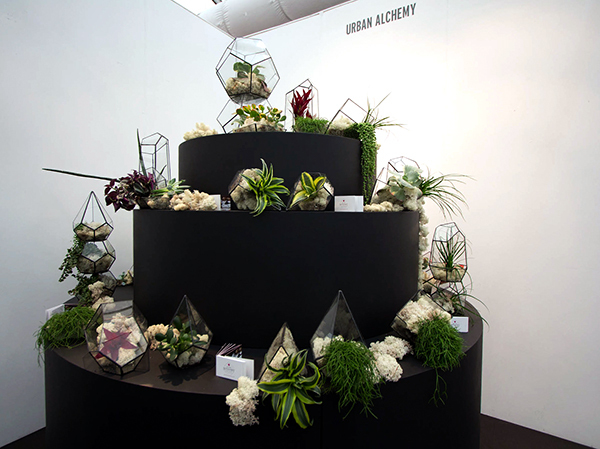 We loved this beautiful terrarium display called Urban Alchemy from The Urban Botanist. 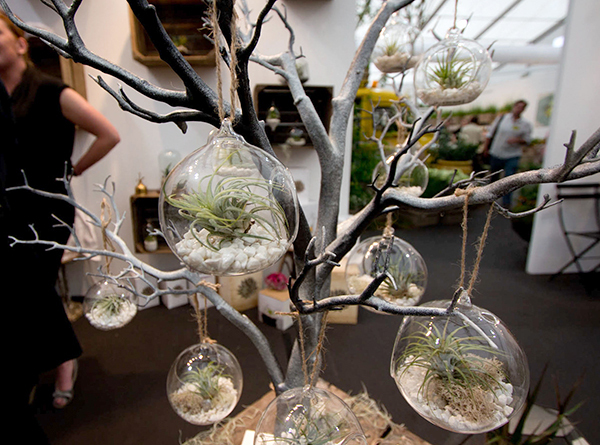 Hanging terrariums from The Urban Botanist. 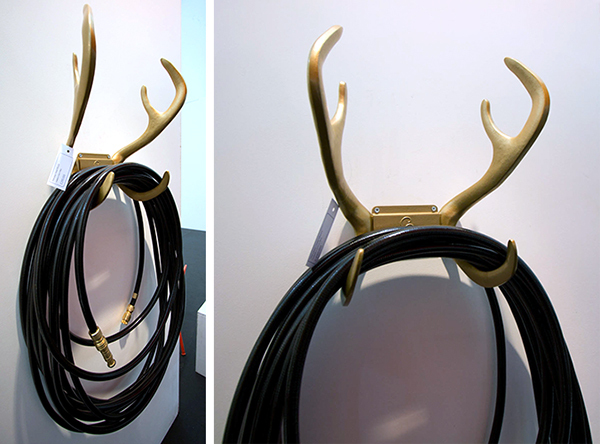 The Garden Hose Reindeer Mount by Garden Glory of Sweden in the Barbed stand! 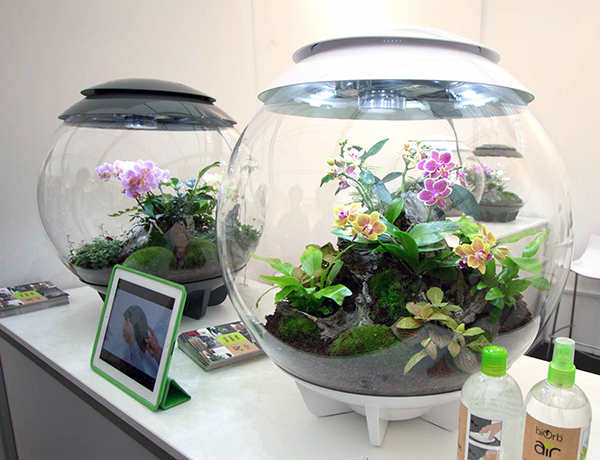 I’m more familiar with the BioOrb as an aquarium, but it was interesting to see them at Grow used for orchids. 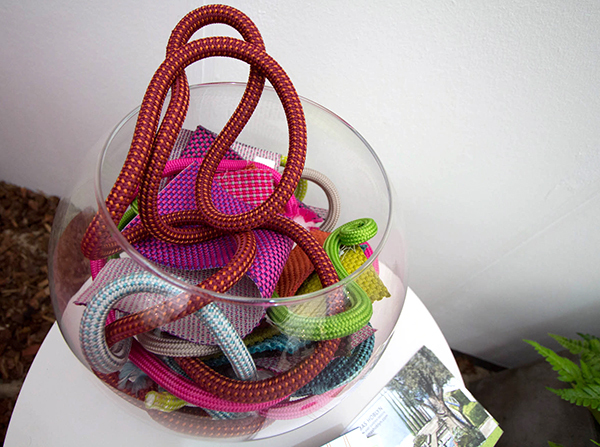 Fatboy hammocks in all colors. 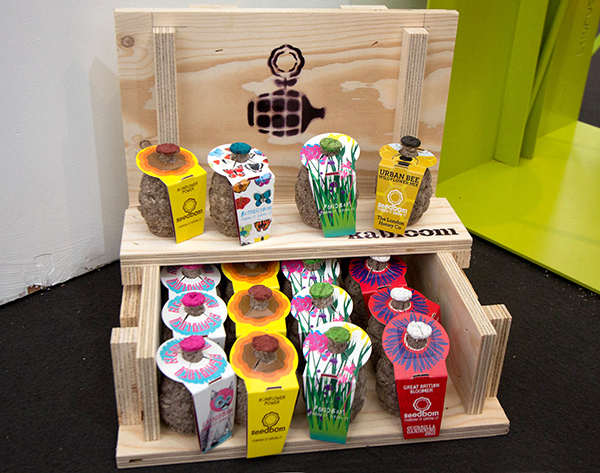 Seedboms for every situation. 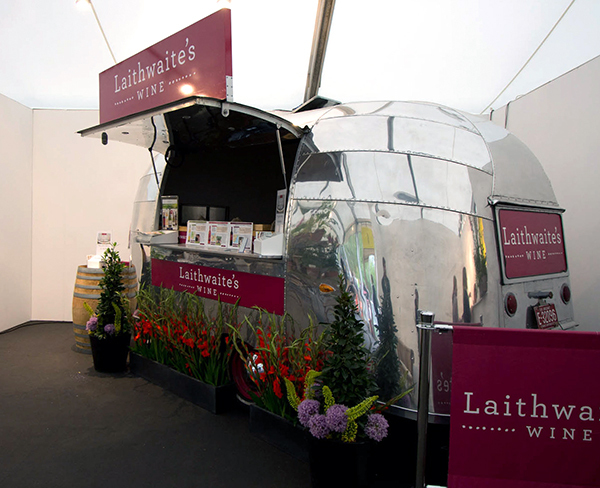 Great case too. 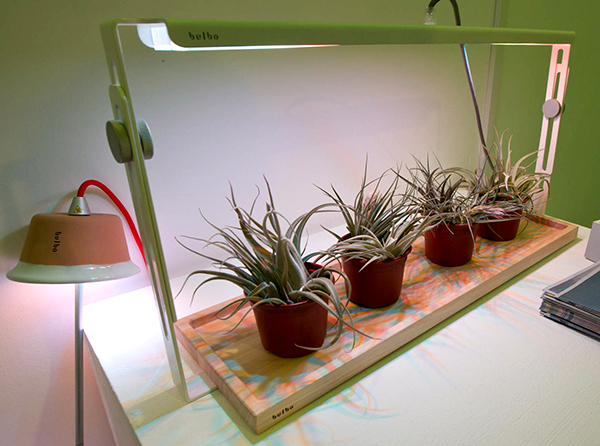 The show also included solutions for indoor growing, like this setup from Bulbo. 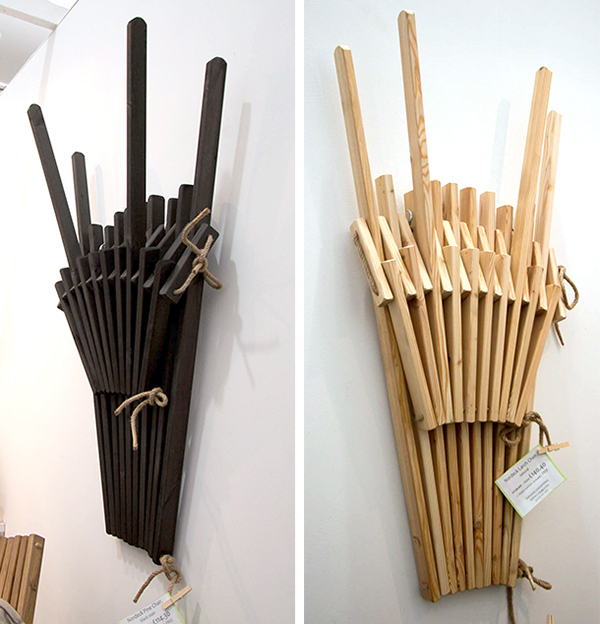 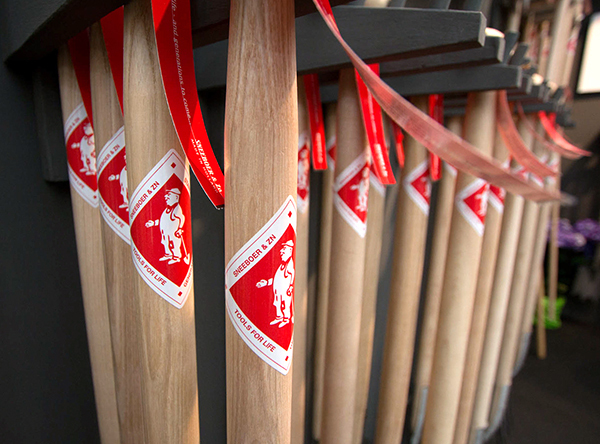 An army of gardening tools from Sneeboer. 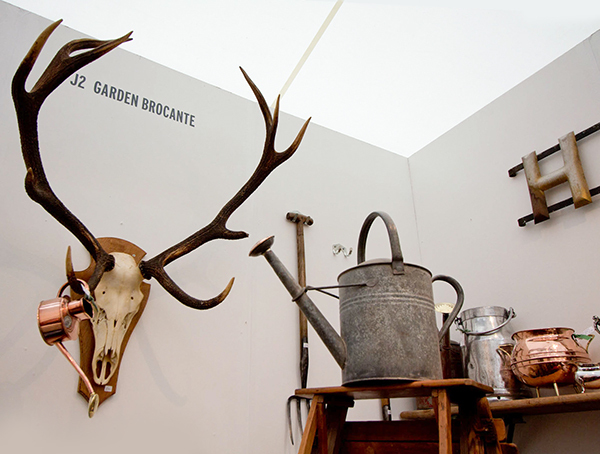 An antler makes a perfect watering can holder in this display from the Garden Brocante. 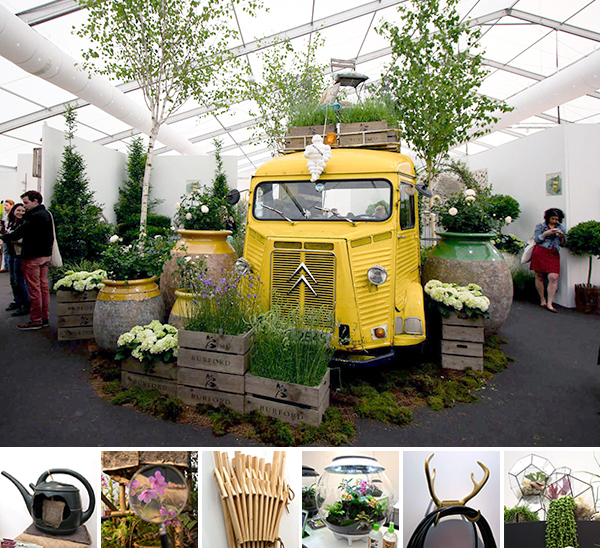 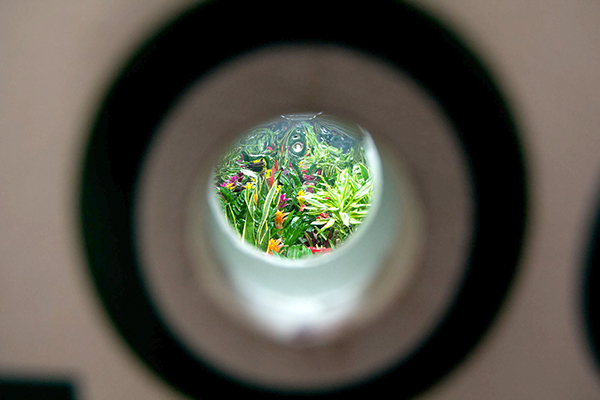 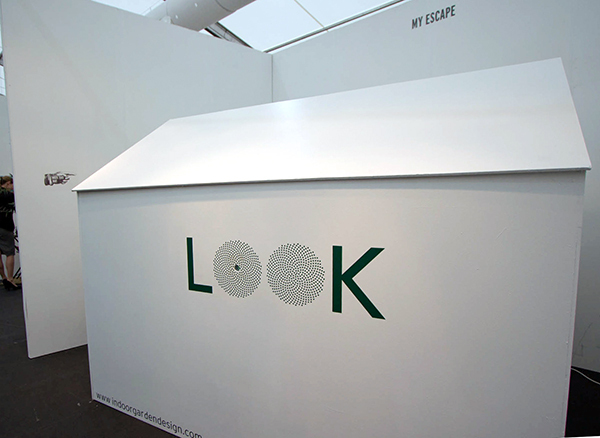 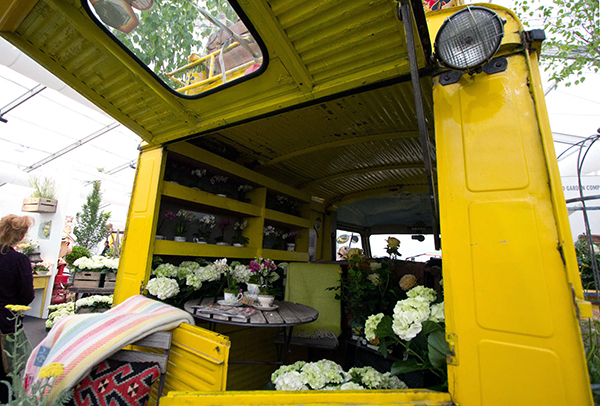 Another fun instillation, called “My Escape” by Ian Drummond of Indoor Garden Design. 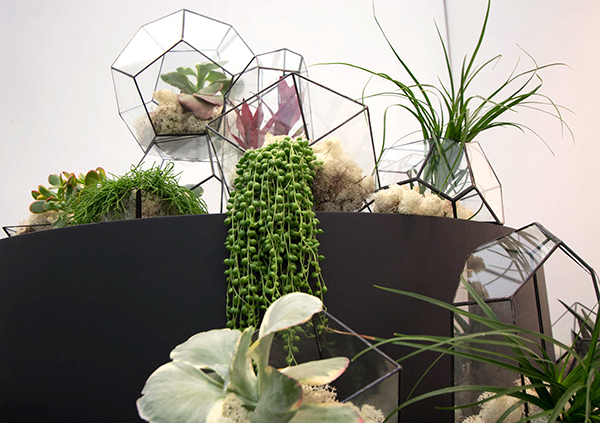 A peek inside the O.
Skyplanters on show at the Boskke stand. 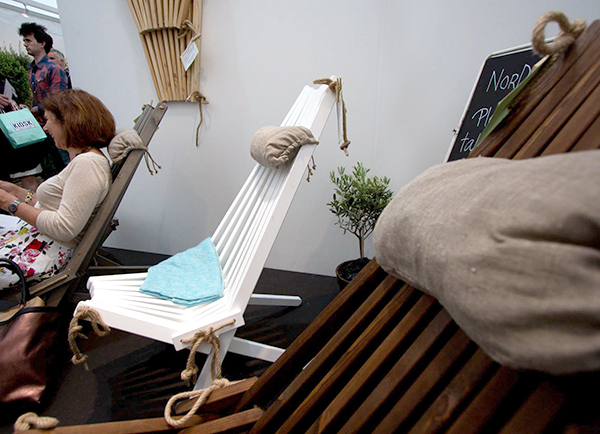 Interesting folding NorDeck garden chairs from NordEco. 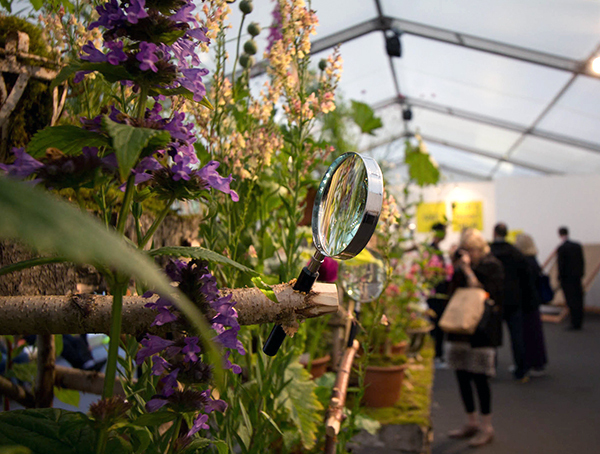 The show was also a great place to discover some incredible plants, like these beautiful (and fragrant) blooms from the Camden Garden Centre. 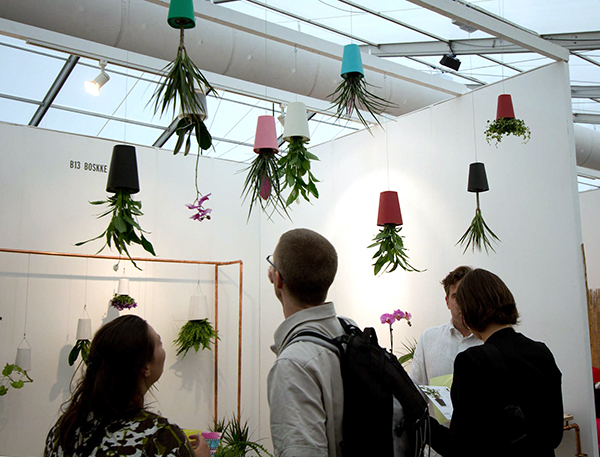 Tea for your plants? 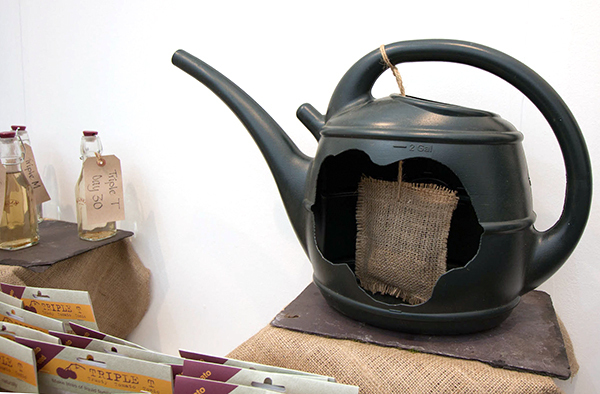 A natural, biodegradable, sustainable fertilising brew from Old Mucker. 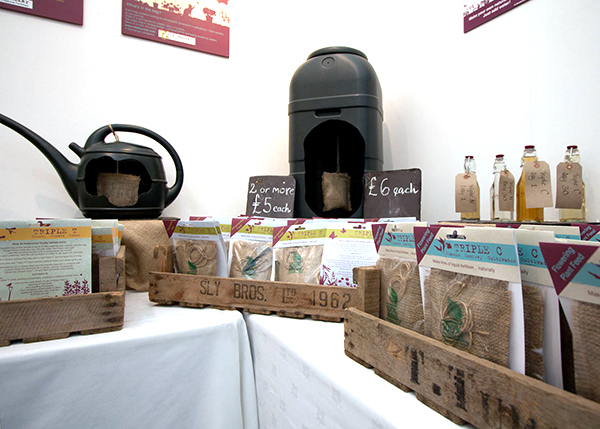 Dibbers, herb driers and other goodies from the Nether Wallop Trading Company. 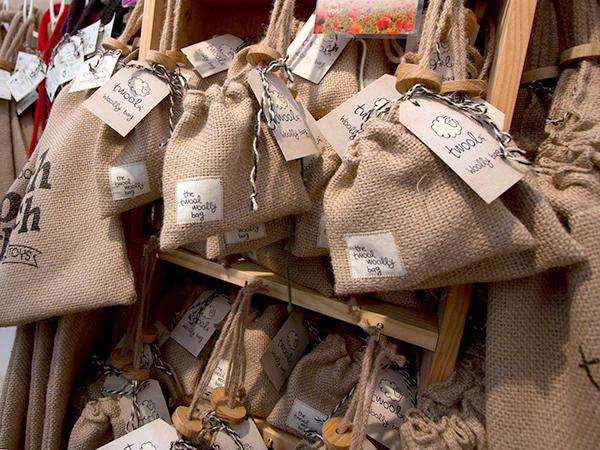 More woolly twine, Twool, which you may remember from Chelsea! 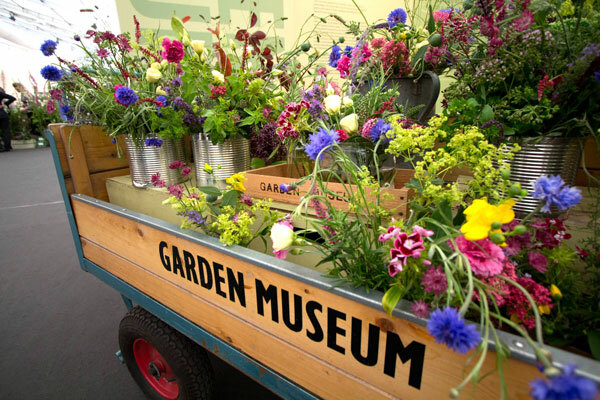 It was a wonderful preview evening, will proceeds going to one of our favorite lesser known London museums, the Garden Museum, whose highlights include vegetable lamb of Tartary!